Editor's Note: There are 2 photos and 1 video associated with this release. TRACE Live Networks, developer of The TRACEr - a visually intelligent camera capable of following its owner almost anywhere and live-streaming captured footage to the internet - announced today, that it has purchased a significant stake in London, UK-based, auto video editing platform, Antix. The Antix platform has been developed to sync a user's action camera device - such as a TRACEr or GoPro - with their mobile device. 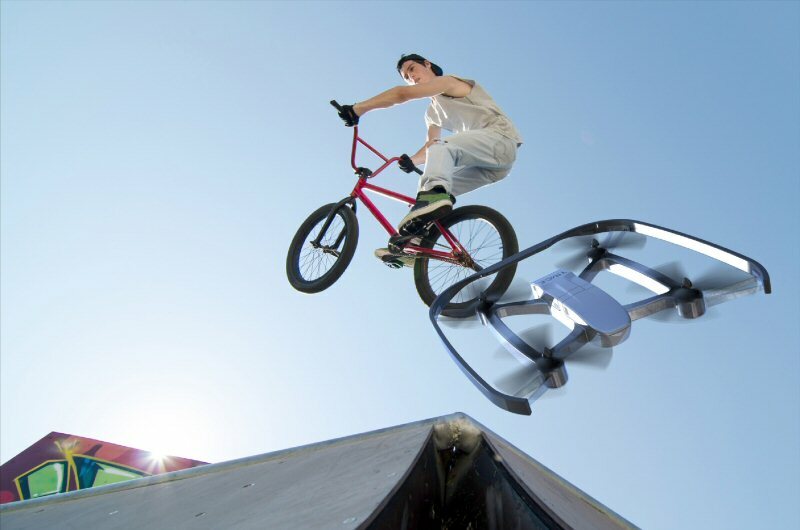 After an action sports session has been completed, using sophisticated, proprietary algorithms which sync motion sensor data from the user's mobile with the captured action camera footage, the Antix platform is able to instantly auto-edit the entire body of footage into a condensed highlight reel, complete with effects such as slow motion and music overlay. These highlight reels are then able to be seamlessly uploaded, via the mobile device, directly to the TRACE Live Networks, Antix and various other content aggregation platforms. As part of the agreement, TRACE Senior Management will fill two Antix Board positions and consult closely on the company's strategic direction and management processes via the Business Instincts Group RIPKIT process. TRACE and Antix will also immediately begin close collaboration on several areas of technical development and integration and the two companies will pursue various combined business development opportunities, both in the EU and North America, and share some operations resources. The TRACEr represents an entirely new product category; an intelligent camera able to click into and autonomously control - using video as a sensor technology - several motorized accessory vehicles that will auto-follow users and video them in action. As well as being recorded for auto-edited highlight reels, this video content can also be seamlessly live-streamed to the web from a smartphone via the TRACE App. Accessories in development include; the FLYr quadcopter, designed for aerial video capture, DRIVEr ATV for ground-based capture and the FOLLOWr Tripod Gimbal, able to track and live-stream action from a static position. The TRACEr1 and FOLLOWr1 will be the first products to see commercial availability. "The content creation space is exceptionally hot right now and the team and the technology that's been developed at Antix are second to none." Said TRACE Co-founder, Cameron Chell. "With estimates having only 5% of action camera footage uploaded to the internet, the ability to instantly extract the most exceptional parts from any body of raw action footage and create, rich, absorbing and easily shareable highlight reels is an incredible disruption. This will be a key differentiator for our TRACEr auto-follow cameras." Antix CEO, Adam Theobald said of the investment and integration "We're incredibly excited, not only to have secured a great investment, but also by the opportunity to collaborate, integrate and scale our platform with the TRACE organization. For Antix, having access to talent and business development opportunities on both sides of the Atlantic is a major advantage and differentiator." TRACE.com is a live-action content platform aggregating streamed footage from globally activated TRACEr devices. 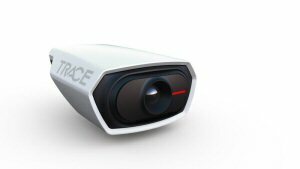 The TRACEr is a visually intelligent camera that autonomously operates a selection of tracking devices and live-streams captured user footage directly to the Internet. TRACEr1 enabled devices allow people to be 'in' their greatest moments and have those moments captured and shared. Based in London, Antix is a video platform that uses artificial intelligence to automatically edit action sports video footage. The technology uses motion sensor data to identify the most exciting parts of a rider's session, which are then located in the video footage and edited into shareable highlights. Antix empowers riders, filmmakers and brands with a simple yet powerful platform that removes the pain of editing and enables them to seamlessly share their best action moments to the world. Antix is available to download on iPhone, Android and on the Web.